Welcome Home! This well cared for and charming 2 bedroom cottage style home is just waiting for you to come and enjoy the summer! Enjoy the beautiful pond view and just wait till you see the sunsets! Fenced in yard is a garden oasis with many perennial gardens throughout. Outdoor screen house offers a nice place to enjoy summer nights with family & friends. 1 car detached garage (currently a wood workers dream) offers heat and ample storage. The property also offers several storage sheds. Deeded rights to Big Sandy Pond (full recreational pond) with the association beach just a short walk down the street. The home offers hardwood floors, first floor laundry, all appliances to stay with house, newer windows, newer water softener, new carpet in family room, wired for a generator and a full unfinished basement that could be finished or used for extra storage. Showings to start at open house Saturday 4/6 12-2PM & Sunday 4/7 1-3PM. Stop by and view this great home before its to late! 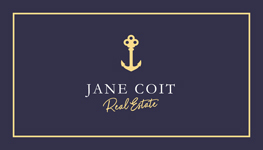 The listing office is Jane Coit Real Estate, Inc. and the listing agent is Jennifer Bolle. The property listing data and information, or the images, set forth herein were provided to MLS Property Information Network, Inc. from third party sources, including sellers, lessors and public records, and were compiled by MLS Property Information Network, Inc. The property listing data and information, and the images, are for the personal, non-commercial use of consumers having a good faith interest in purchasing or leasing listed properties of the type displayed to them and may not be used for any purpose other than to identify prospective properties which such consumers may have a good faith interest in purchasing or leasing. MLS Property Information Network, Inc. and it's subscribers disclaim any and all representations and warranties as to the accuracy of the property listing data and information, or as to the accuracy of any of the images, set forth herein. The data was last modified on 12/18/2018 2:44:00 PM.